Craftsmanship you can see and feel. Results you can trust. Every detail matters — flow path inertness, long term flow-rate stability, tool-free operation, easy flow-rate modification, automated calibration, and meticulous craftsmanship with the highest-quality materials. With the CS1200E, everything comes standard. Many sampling professionals have asked us for tool-free connections and we’ve delivered on this. 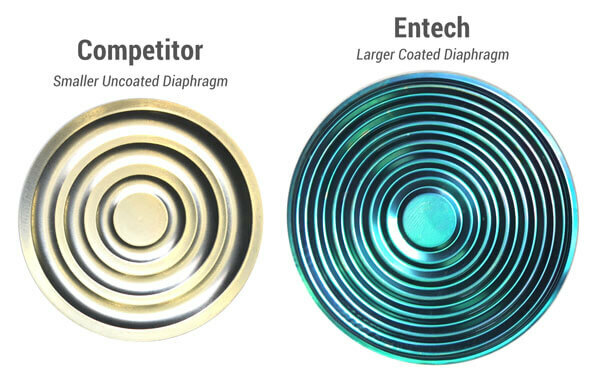 Entech’s CS1200E comes standard with a finger-tight cap that makes a better seal than the alternative brass caps. There is far less potential for thread damage with this approach. 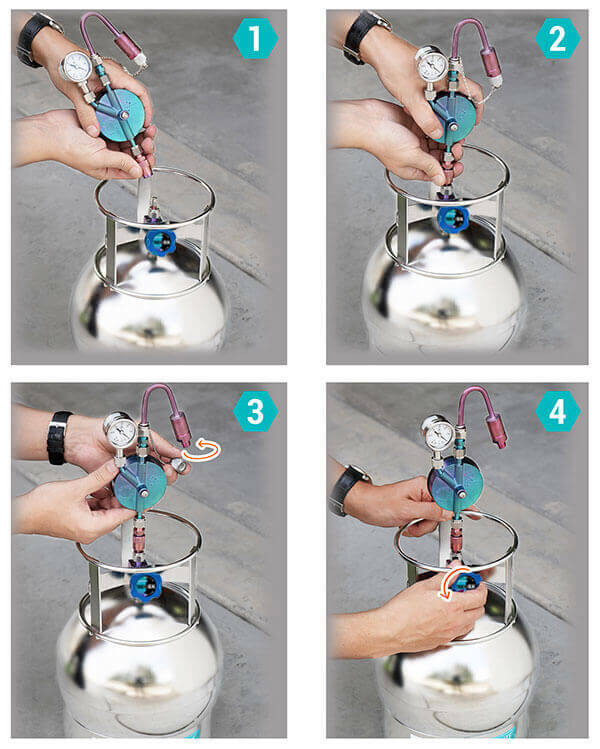 For canister connections, the Entech Micro-QT™ literally makes it a quick snap! 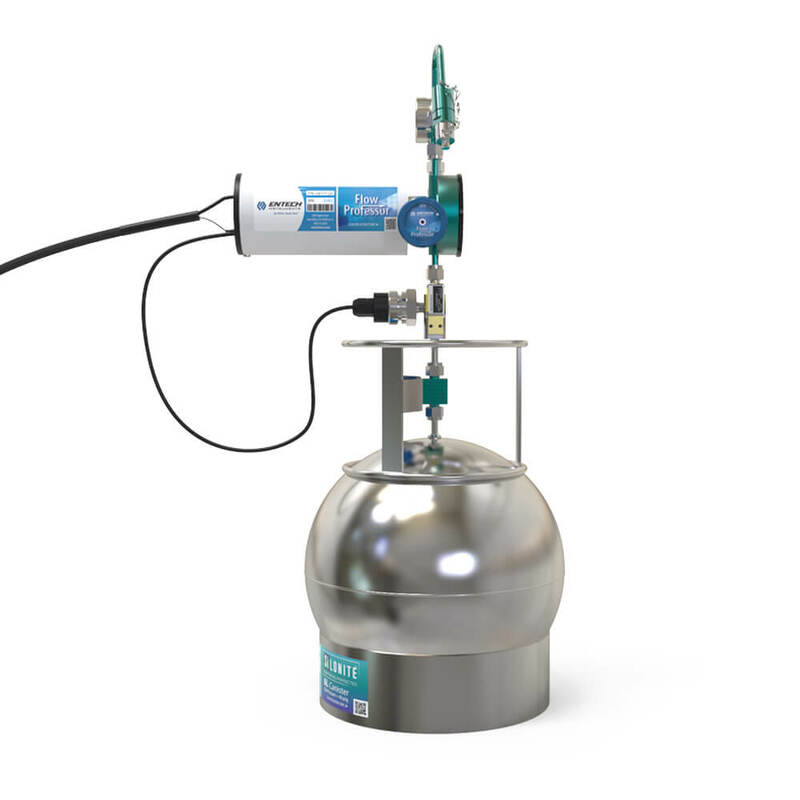 The Micro-QT valve is so reliable, it was chosen by NASA along with Entech 200cc Mini-Cans, for use on the International Space Station to verify concentrations of VOCs over time. They can’t afford to have leaks, as these canisters may be under vacuum for several months before sampling, and it may then take several months before they are analyzed. 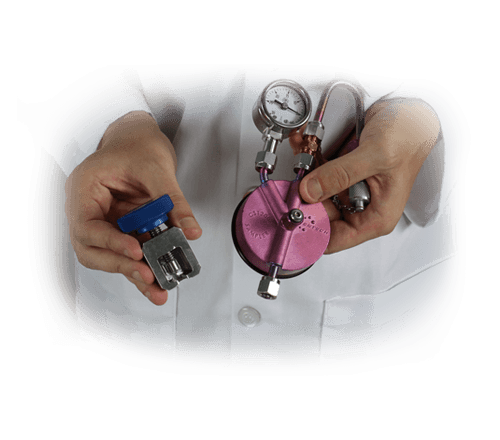 The Micro-QT Valve offers this kind of reliability. Just another way Entech makes life easier for the sampling professional, or the sampling Astronaut. Go with the flow… control. 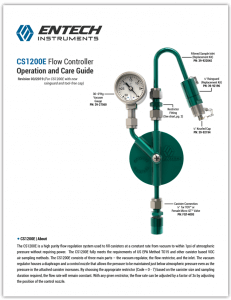 The CS1200E features a large diaphragm to precisely control the pressure differential down to 1-3″ Hg so that canisters can be filled at a constant flow rate even when nearing atmospheric pressure. 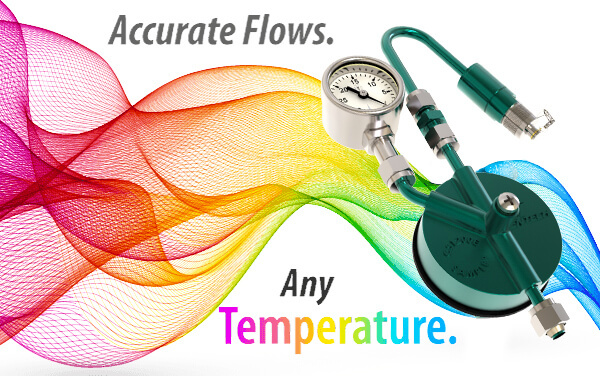 It’s able to do this better than any other flow controller on the market. Don’t take our word for it. You can test it yourself using the Entech Flow Professor. 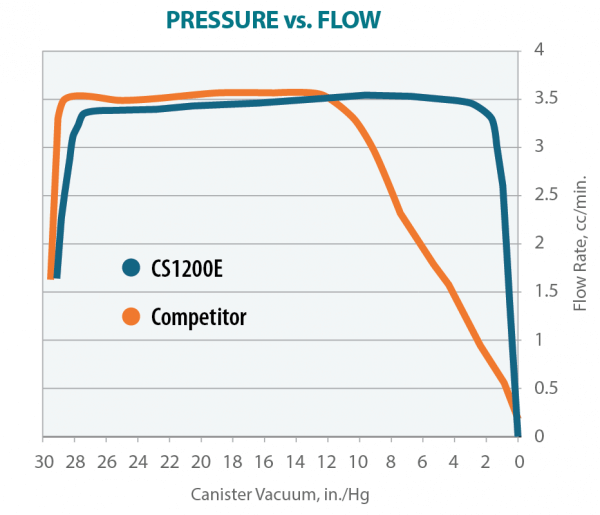 In a recent laboratory test, the competitors flow controllers (3 tested) regulated pressure drops to 4-8″ Hg which led to an under representation of the last 20 – 30% of the sampling integration period. 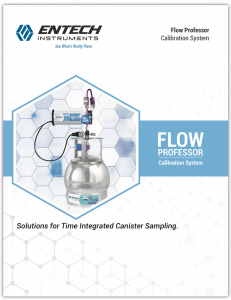 You deserve accurate data from every sampling event – the CS1200E delivers this.Combined with the Flow Professor calibration system (see below), you’re success is a near certainty. & Provide For Easy Restrictor Changes. Pipe thread & tape are not the way! Other flow controllers use pipe thread fittings that require a vise, Teflon tape, and a lot of torque to attach and remove restrictor fittings. 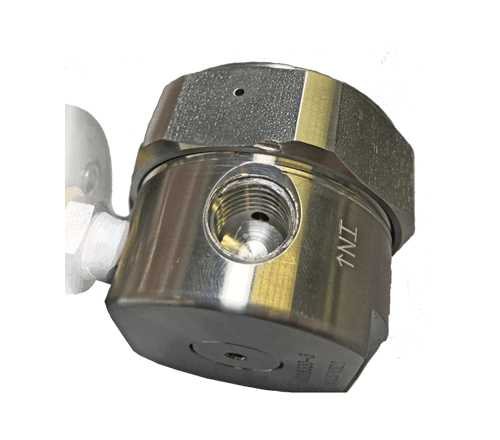 Both the flow controller body and the restrictor fittings are typically 316 stainless, and like-hardness metals will usually gall under a lot of frictional force, resulting in damage over time. Trying to remove steel ferrules? 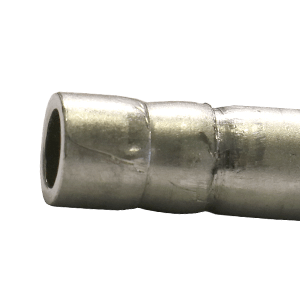 It is near impossible to remove stainless steel ferrules without doing significant damage to tubing or stems. This can leave expensive equipment unusable. 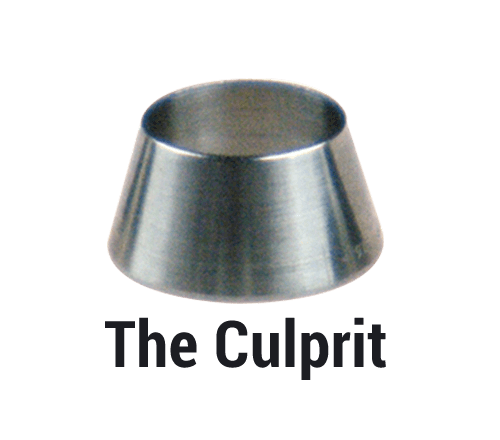 Competitive flow controllers use permanent steel ferrules on all their connections. Better seal than stainless steel & removable! Nickel has long been known for its superior inertness relative to even 316 stainless steel. 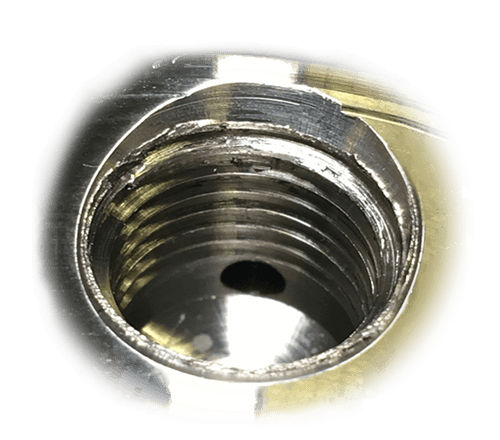 The unique properties of Nickel create the best combination of inertness, low carryover, and replaceability, so you never have to throw away a fitting, flow controller, (or worse) a 6L canister because your ferrule or ¼” Swagelok style nut failed you..
Too often, sampling professionals set out a canister and flow controller, only to find that it either under or over samples by the time they return. This is very disappointing, and costly! What causes this? 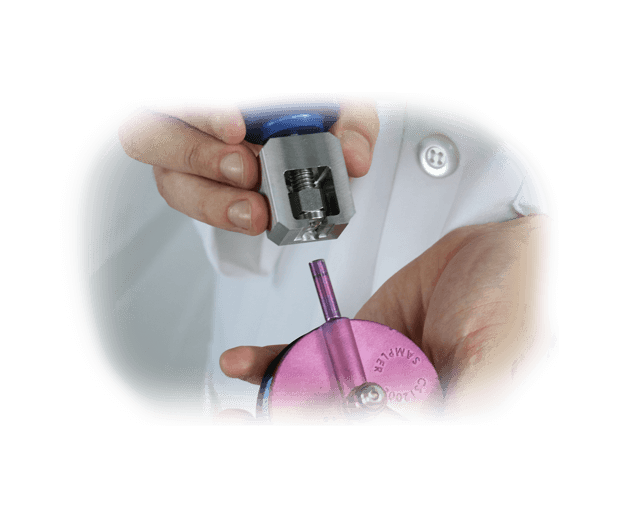 Normally, a combination of either wrong or damaged restrictors, or simply an incorrect calibration in the lab. Entech has developed a low cost tool called the “Flow Professor” that can virtually eliminate the occurrence of incorrect sampling events. 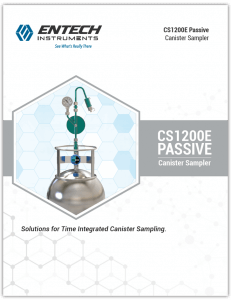 This device connects to the CS1200E and operates through a Microsoft Windows interface where canister size, sampling duration, target end pressures, and elevations can be entered. Calibration then takes place, fully automated by the Flow Professor.